Erected by Colin D M Mackenzie in loving memory of my Father and Mother. 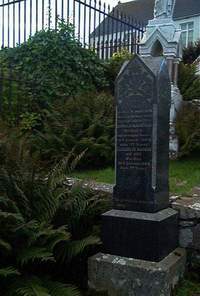 Donald Mackenzie died at Achsinegar Swiney 14th January 1904 aged 77 years. Wife Elizabeth McKay died 25 December 1904 aged 77. He giveth his beloved to sleep.